How do you fight a disease with practically no symptoms? With screenings, early and often. 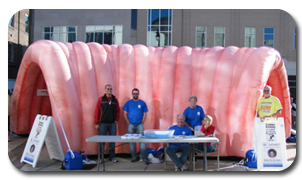 That's the message Lebanon Digestive Disease Associates is spreading everywhere they go. Certainly it makes sense that medical professionals would want to help save lives by educating. But most people are simply squeamish about discussing such matters. 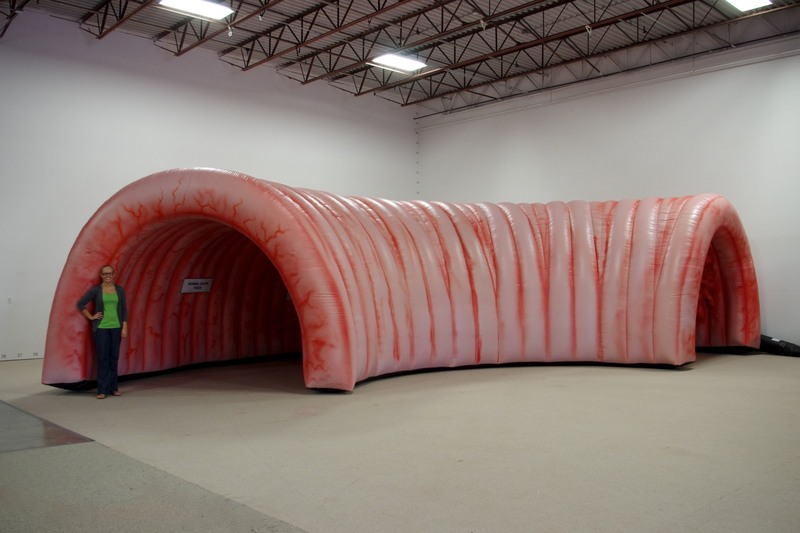 Custom inflatables from Landmark Creations are proven to increase foot traffic for Grand Openings and Haircut Sale Specials. 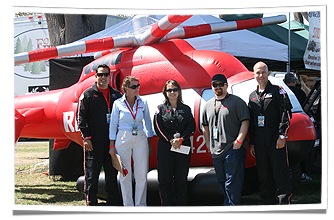 Our systems come complete with everything you need to operate at your event. Standard systems are 8', 10' and 20' Hot Air Shapes. 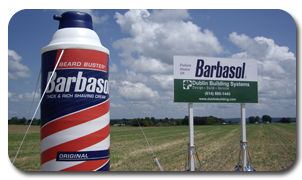 After Barbasol decided to construct a new manufacturing plant in Ashland, Ohio, the next logical step was to invite the press to their groundbreaking ceremony. Since initially the shaving cream icon only had an open field, it was rather difficult to give directions to company officers, city officials and the media. 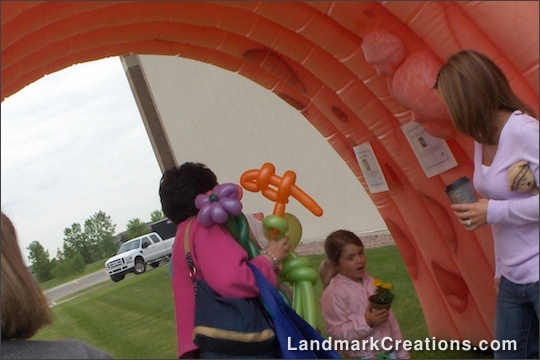 That's one reason Barbasol contacted Landmark Creations to develop their custom inflatable product replica. Take one look at the Alvin J. Siteman Cancer Center at Barnes-Jewish Hospital and you'll notice something quickly… they have a passion for education. There's good reason for that. Many forms of cancer can be treated more diligently or completely prevented with proper education and early screenings. Such is the case with colon cancer. 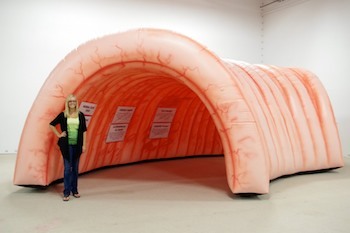 Even though colon cancer is serious business, Southeastern Med discovered that many people are more open to education about this disease when presented in a less-scary manner. 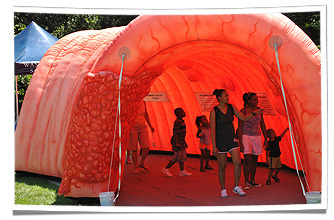 That's what brought about their commissioning Landmark Creations to develop a cold-air, colon-shaped inflatable tunnel. Talk about a photo opportunity! 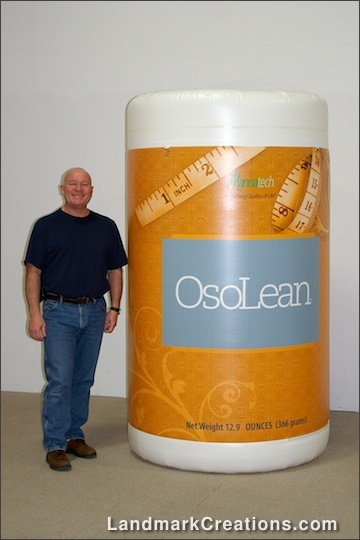 Mannatech approached Landmark Creations to develop a six-foot tall inflatable product replica of their newly launched OsoLean™ weight-loss product. The purpose? To generate excitement. Mannatech never imagined just how much excitement they would see. If you or someone you love has ever been critically injured and required air transportation to a medical facility, you can appreciate the vital nature of these services. These unsung heroes make it possible for patients to get the urgent care they need in a fraction of the time it would take by ambulance. The problem is, air transports are costly and insurance doesn't always cover the complete expense. 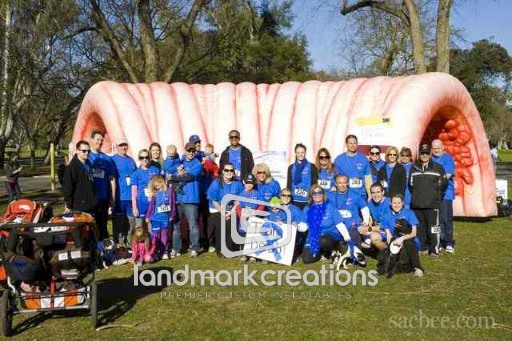 Rumpshaker, Inc. is determined to raise awareness of colon cancer in a non-threatening way. Their message? 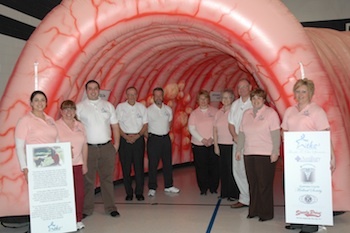 Colon cancer is preventable, treatable and beatable with proper screenings. What's more, the process of routine scans isn't as horrible as many have made it out to be. 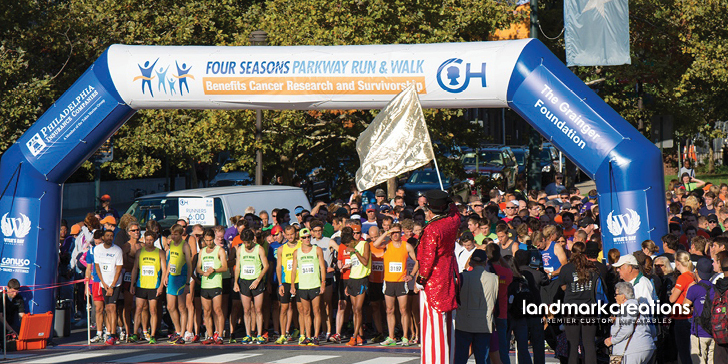 Let's face it: Nobody wants to talk about colon cancer. But educating the public is vital in order to keep this disease at bay. How do you increase awareness without scaring people away? 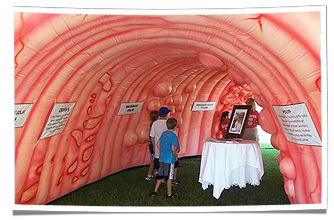 In this case, you use a custom inflatable colon.